Dramaturge and curator, Felizitas Stilleke goes back to the original meaning of “curare” (taking care) and drifts through the local art scene. Carried merely by an euphoric, open will to connect social dynamics and exchange empathy, trying to find and write a new global narration of criticism and/with/through love, collectively. © Niklas Vogt Felizitas Stilleke (*1983) is a freelance dramaturge/curator from the Ruhr Area, Germany. She studied German Language and Literature Studies & Educational Science at the Ruhr-Universität Bochum [B.A.] and Literary Studies/Kulturpoetik at the Westfälische Wilhelms-Universität Münster [M.A.]. 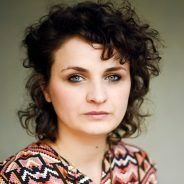 She has worked as a dramaturge at the Wolfgang Borchert Theater in Münster (2007/08), Theater Der Keller in Cologne (2010-12), Ringlokschuppen Ruhr (2013) and Junges Theater Göttingen (2014). Stilleke co-curated the theatre festival of independent performing arts in North Rhine-Westphalia, FAVORITEN 2014 (with Johanna-Yasirra Kluhs), and was dramatic advisor to the international THEATER FESTIVAL IMPULSE 2017, under the artistic direction of Florian Malzacher. Since 2015 she is dramaturge on various projects and groups in North Rhine-Westphalia and Berlin, including collaborations with SEE!, Ben J. Riepe, subbotnik and Drama Köln e.V.. In Call for Curation, Felizitas Stilleke takes us on her personal and intimate journey of encounters, with inspiring people and a lot of (shared) confusion about the possibilities or borders of intuitive curating, via her perception. For the artist, curating signifies a social practice, that is ruled by interaction and intuition. During her time in Bangalore, the artist started to record herself and found that speaking her impressions and experiences out loud is the best way to stay connected to herself, and the narration turned into an oral transmission, created in the interaction of thoughts, within the specific moment of alliance. Meeting different artists and activists initiated a snowball effect of interaction which continues. Give Felizitas a call (+91 80 30456568) and experience the power of connection... see the city of Bangalore through the eyes of a foreigner who was welcomed. Call for Curation was developed by Felizitas Stilleke during her bangaloREsidency@Jaaga in 2017, with support from the Goethe-Institut / Max Mueller Bhavan, Jaaga DNA, and Exotel, and premiered at Bengaluru Fantastic.